Casablanca Ok, sure, we’ve seen worse on other Organizer Forum visits to various countries around the world. Certainly, when part of our delegation was meeting with one of the presidential candidates in Cariro, Egypt, nine months after the beginning of events in Tahrir Square, and the state police busted in and tried to forbid the meeting, we couldn’t escape the government’s message. In Cameroon and Thailand, there were little doubts that freedom was restricted and government unresponsive. In Myanmar we could see the military’s power. Morocco though is presenting a different set of challenges equally disturbing. Our local Moroccan organizers didn’t mention it immediately, but having long experience working in the country, they had noticed the two men who followed them when most of our delegation had lunch in the Medina, the old town of Casablanca, and then traveled to a meeting at the UMT’s union building. Paranoia? 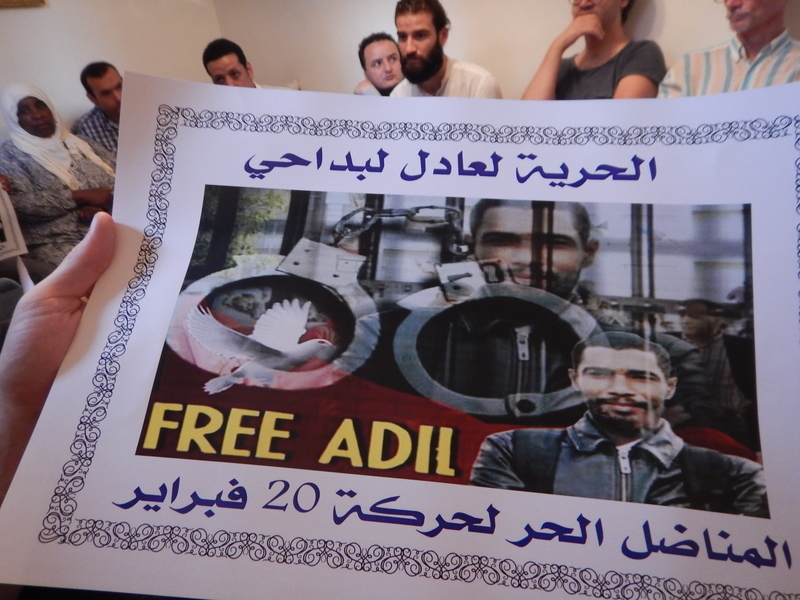 Perhaps, but we became increasingly convinced during their early morning briefing about potential risks involved in our planned afternoon visit to meet activists with the 20th of February movement at the home of the family of a political prisoner. As veteran community and labor organizers, we listened carefully, scoffed slightly, but took it all seriously, and then made sure we emptied our pockets and stripped down to the bare essentials before traveling in taxis and cars to what our guides called a “popular,” meaning lower income, neighborhood to meet with the activists. The story we heard was both moving and chilling. The 20th of February refers to the date that Moroccans joined the protests of the Arab Spring. The country was not really turned upside down along the lines of Egypt or Tunisia, but a movement for change had been triggered. Morocco is a constitutional monarchy, but in one meeting after another people emphasized that the power and wealth of the crown far exceeded the influence of the parliament. The movement had led to a new constitution and some devolution of powers, but we heard little satisfaction that the change had been sufficient. Furthermore, the repression was described as severe. Activists count 1500 political prisoners at this point and many are involved in supporting their families and organizing for their freedom. We were in the home of Aldi Lbdahi. He is a 44-year old man with four sons and his mother living with him. On his own time he maintained a website that reported on local corruption. He was picked up by the police, sequestered from family and friends, and has now been sentenced for three years. The case was brought forward by a lawyer in the justice department and heard by the same department, acting essentially as judge and jury. The 20th of February veterans and his family insisted on his innocence, making it clear that his crime was threatening the powers that be with his persistent communications about corruption in the local government. Telling us the story, they hoped that we could break what they called the “embargo” on communication. They had been unable get word of Aldi’s plight out to the public. They had alerted Amnesty International. They were hoping we could help, since we were an international delegation. I promised them this blog and radio report. We said we would contact our local embassies in our countries and ask them to investigate Aldi’s case. They were grateful and effusive in thanks. All of us felt humbled and impotent, witnessing injustice and the weaknesses of our ability to right it, although with the knowledge that as hard as we often see our work, the risks and penalties pale in comparison.